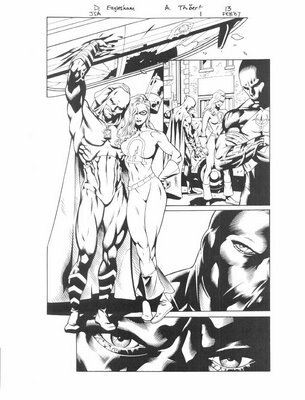 Newsarama just put up this preview page of the relauch of the Justice Society Of America this weekend. The art looks cool as can be. I like the redesigns on Liberty Belle & Damage. And that pose of LB and Hourman rocks. I wish December would get here already….